World Rhino Day, celebrated on 22 October, pays tribute to the courageous work of those who are the first line of defense against ruthless poachers. 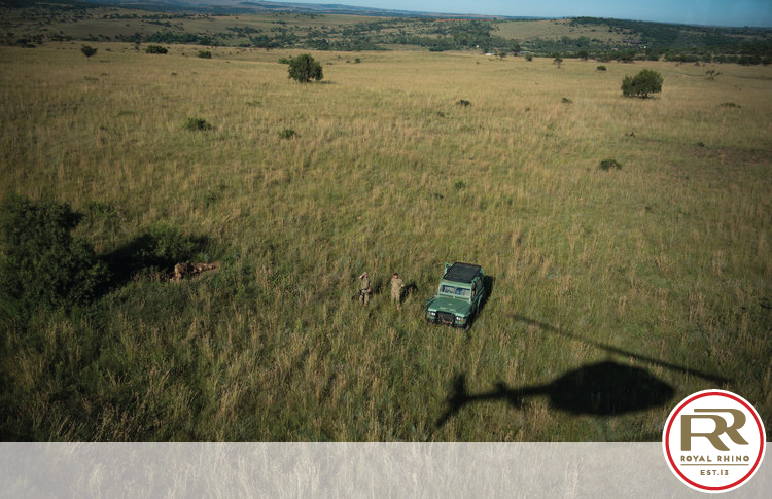 They risk their lives daily, not only by fighting poachers, but also in encounters with dangerous wild animals such as lions, elephants and buffaloes, to ensure future generations will have the privilege of sightings such as the one described above. The father-and-son combination of Michael and Harrison Cooney set out from the United States earlier this year to honour these heroes, or “The Wildlife Defenders”, as they call them. Their aim was to highlight the slaughter of rhino in Africa through the creation of photographic images of rangers and other individuals involved in the war against poachers that would tell a story without words. They wanted people to see the photographs and generate curiosity about what it had to do with the rhino war. Their journey took them to South Africa, Botswana and Zimbabwe and they covered more than 8 000 kilometres by road and air. EcoTraining, a training school for guides and nature guardians with facilities in South Africa, Zimbabwe, Botswana and Kenia, was the Cooneys’ main partner and hosted them at their Mashatu Camp in Botswana and Makuleke Camp in the northern part of the Kruger Park. According to Michael they were warmly welcomed and offered accommodation by many people during their three week trek.